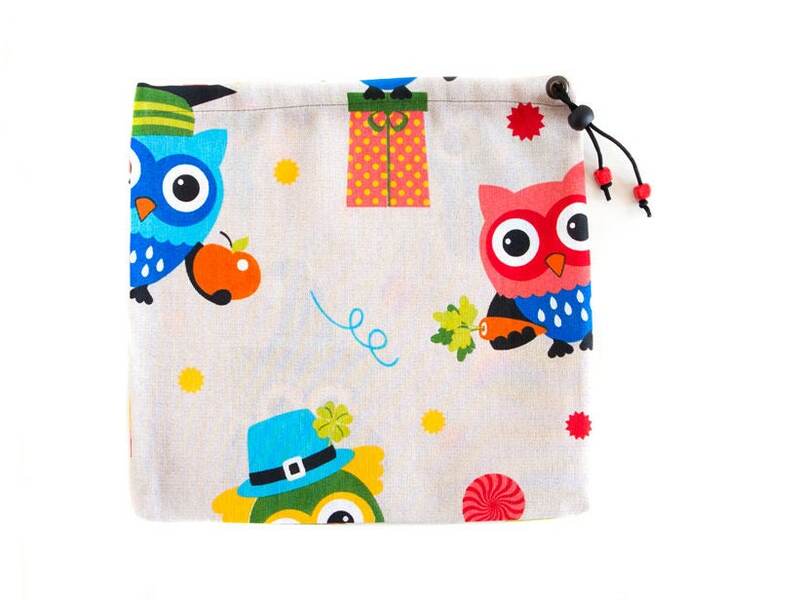 We handmade it of colorful canvas fabric with owls. It closes well with a black cord and a cord lock. This bag is multi functional. 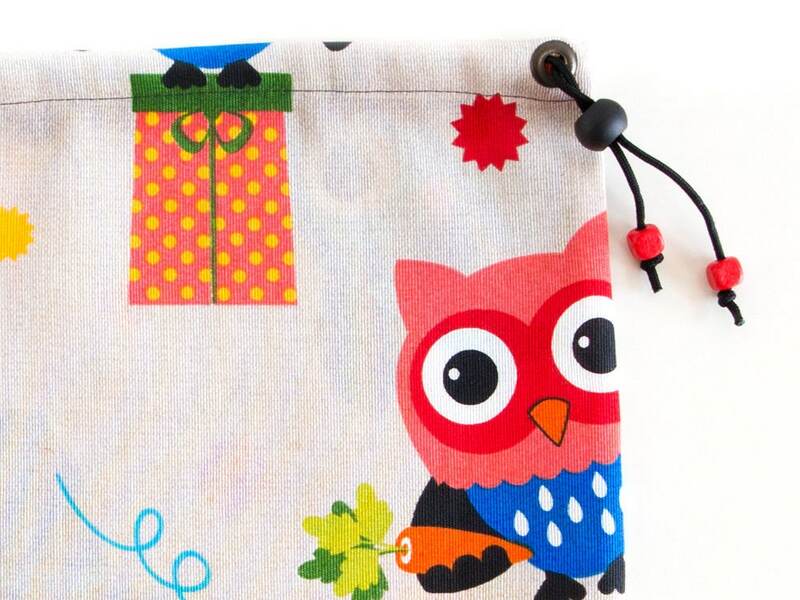 You can use it as an organizer of clothes when you travel, or as a storage pouch of kids and child toys. 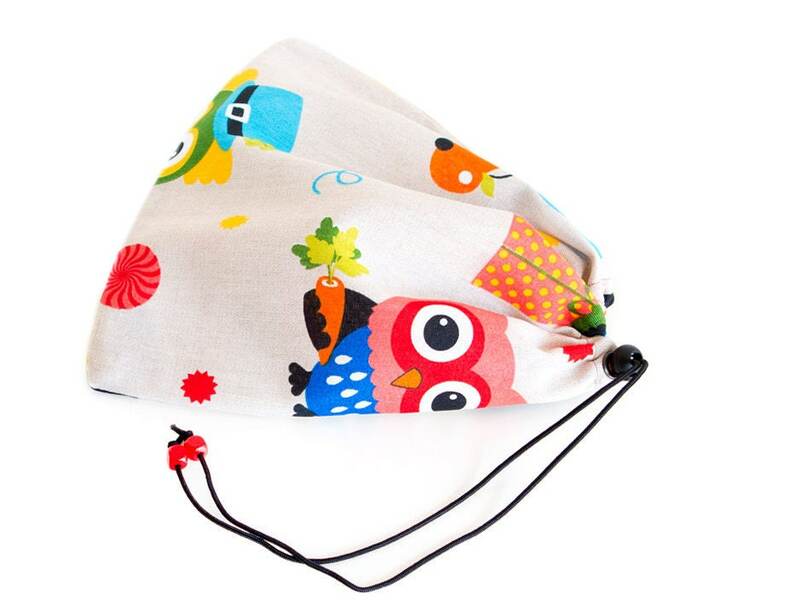 It can be used as rock climbing shoe bag for him and her too. 29 cm (11 7/16") height to 30 cm (11 13/16") wide. Weight- 43 grams (1.51 oz). 60 % cotton, 40 % polyester. 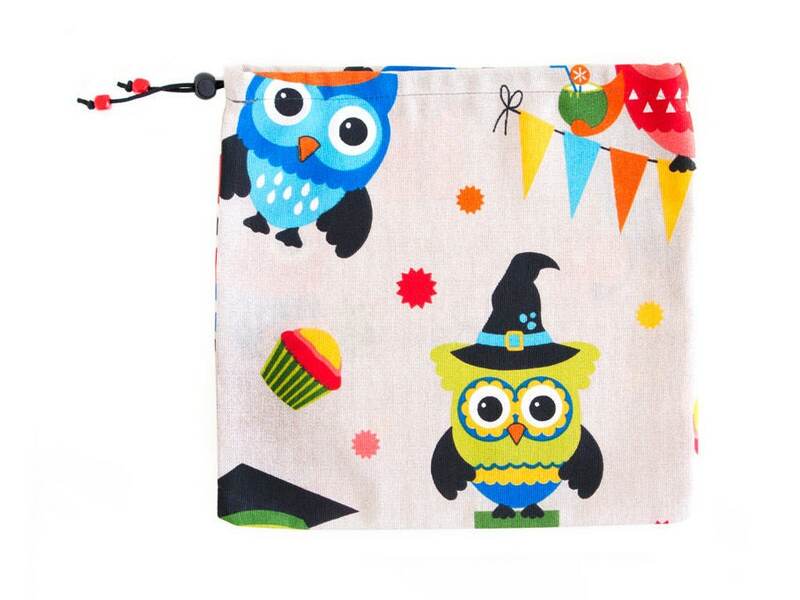 If you order, you will get the pictured pouch.